There's my mom's spaghetti with mushroom and anchovies that I make as she instructed, despite the fact the technique is bad and produces a dish that is invariably ugly. Part of that is nostalgia, and part of it is that her method is incredibly easy. Cooking it with proper technique would make it taste funny to me; it would also take twice as long to put together. Then there is this Chinese-style layered omelette that I make exactly the way I was taught, and that's just because it's perfect the way it is. Any improvements I've tried to make over the years always felt like gilding the lily. The process is incredibly simple—it's basically an omelette mashed up with one of those layered crepe cakes, with scallions and soy sauce layered between each pancake of egg. And while that might not sound particularly exciting to eat, it is, when combined with a bowl of plain steamed rice, an example of culinary alchemy on the same order as a sandwich made from good bread, prosciutto, and butter. It makes a fine lunch, but it is an even better dinner, perfect for those nights when all you have is eggs in the refrigerator and you don't want to cook anything complicated. A bowl of rice, maybe some kimchi or other pickled vegetable, and you've got a grand weeknight meal. A Bit of Culinary "Telephone"
What I did not know until recently was that this egg dish, which I was told was a "Chinese layered omelette," is in fact a really simplistic approximation of a recipe my parents found in Classic Chinese Cuisine by Kenneth Lo. Lo was for a time "the foremost expert in Britain on Chinese food" according to his 1995 obituary in the Independent, and he published 40 cookbooks focused on Chinese cuisine over the course of his career. The recipe of Lo's that my parents mangled and then passed on to me is called "Wang Pu Multi-Layered Omelette," and Lo writes it "originated from the boat-dwellers of Wang Pu, a city on the Pearl River." In it, eggs are beaten, seasoned, and mixed with a tablespoon and a half of rice wine and "chopped shallots (spring onions/scallions)." Then, a third of the egg mixture is cooked in plenty of oil in a hot wok, sprinkled with more shallots/scallions, and then set on a plate and seasoned with a little soy sauce. The process is repeated until the egg mixture is spent, and Lo says the dish should be served with white rice to fully appreciate the flavor. "Its fascination lies in its interspersed layers of soft and well-cooked eggs flavored by freshly chopped shallots and wine," Lo says. Some cursory Google searching yielded very little in the way of usable information, but Daniel put out some feelers on social media, and a chef on Twitter named Lilly Jan pointed out similarities between the Lo recipe and a dish known as "Huangpu egg" and helpfully passed along a video with a recipe. The egg mixture in that video is seasoned with lard, salt, and MSG and then cooked in a wok in a way that produces a layered ripple effect. If you watch the video of the chef demonstrating the Huangpu egg technique, you'll notice, along with the beautifully seasoned wok, that even though the dish is cooked in stages, the eggs never leave the pan until the dish is done, which is, aside from the absence of shallot/scallions and rice wine, the main way in which it deviates from Lo's recipe. But, and this is pertinent to my parents' bastardization of the dish, both dishes have multiple layers of differently textured cooked eggs: the harder cooked, and slightly browned, eggs that make contact with the pan; the eggs that are fully cooked but still pale that sit atop the browned, harder cooked bottommost layer; the soft and pillowy bottom section of the top layer of egg; and, finally, the barely cooked, still slightly runny egg that sits above it all. You'll want to start by slicing up three whole scallions (both white and green parts) as thinly as possible—they aren't going to get cooked at all, and you won't want large chunks of fibrous onion mixed up with your eggs. At this point, you'll want to set yourself up in a way that facilitates streamlining the omelette-stacking process. You'll want the serving plate near the stove, and you'll also want the scallions and a bottle of soy sauce close at hand. 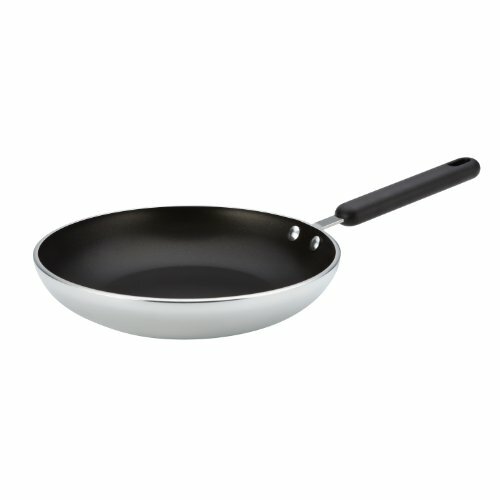 You can use either an eight- or 10-inch nonstick skillet to make this, and while it doesn't really matter which one you use, keep in mind that the eight-inch pan will end up producing more layers than the 10-inch one, simply because of its diameter. I tend to prefer more layers rather than fewer, but it doesn't make that much of a difference. 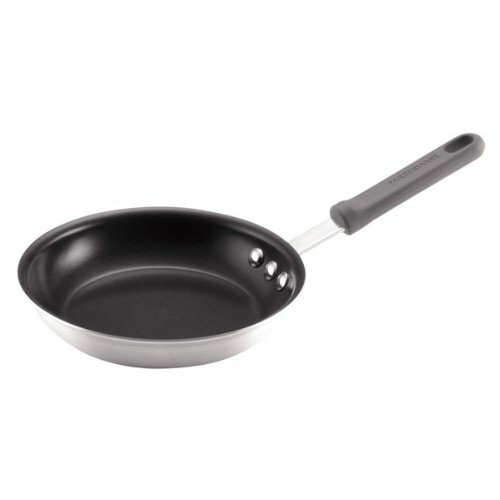 You can also use a wok, provided it is nicely seasoned and the egg mixture won't stick. Repeat the procedure until all of the egg mixture is used up. You will likely need to add more oil to the pan every other layer, to ensure the cooked eggs slide out with no issue (you can use chopsticks or a rubber spatula to assist with sliding the eggs out if they get a little stuck). Every layer gets more scallions, but not every one gets more soy sauce: If you use a 10-inch pan, you should only season the bottommost and topmost layers with soy sauce; if you're using an eight-inch pan, you'll want to season not just the bottom and top, but one of the middle layers as well. Once the whole thing is constructed, you can serve it right away, but it also suffers only a little bit by being served at room temperature. As long as the steamed white rice you serve with it is piping hot, it'll be delicious. As I said above, there isn't much point to trying to gussy up this dish, but there is one addition that works particularly well—adding chopped jiu cai, or garlic flowering chives, to the egg mixture. That changes the flavor profile of the dish, shifting it away from eggy simplicity and toward the nuttier flavor of cooked garlic chives. The main variation with this recipe has to do with technique. If you recall the dish's more authentic counterpart and its mix of differently textured eggs, you can accomplish something similar depending on how hard you cook each layer. Keeping in mind that each subsequent layer will end up putting the hot, harder cooked part of the omelette right up against the more gently cooked top layer, the best way to get a mix of egg textures that approximates the Huangpu egg is to cook each layer so that its top is slightly underdone and still quite liquid. I understand the idea of underdone eggs can be off-putting to some; my wife is one of those people, so I have resigned myself to a life with slightly overcooked layered omelettes. But when cooked properly, and you dig a spoon through all the layers, you'll get a cross section of omelette layers that runs the gamut from hard-cooked, slightly browned eggs to the creamy consistency of soft-scrambled eggs, all of it mixed with the bright grassiness of green onion and the deeply savory soy sauce.